Dermatology care, skin care education and more lie within this slick and highly usable website. Beautiful skin requires commitment not a miracle. Derma One is a Bahrain based skincare brand focused on skin beauty and associated treatments. Its founder Dr. Nedhal Khalifa started the firm in 2006 in a nascent market that was free from any real or specialised competition. Many of the country’s patients would visit the skin care consultants of Lebanon for treatment and so building a solid business in the Kingdom was easier as their was a large and growing customer base. Since then the skin beauty and treatment market in the Kingdom and region has increased greatly with many focussed practitioners coming into direct competition with Derma One. Derma One was a high quality practice with a very highly qualified chief consultant in Dr. Nedhal. The healthcare brand consists of Derma One and Medspa by Derma One. What separated Derma One from its core competition was the exceptional quality of the services on offer. The skincare brand as considered by its customers to be ‘the Bentley of the skin beauty and care market’; this perception, generated by Dr. Nehal’s expertise, was not being projected by the brand. With growing competition, the need for greater, more sophisticated brand communication was increasing. Another key issue was how to properly connect the Medspa offer to the parent brand with out reducing the equity in the main Derma One brand. 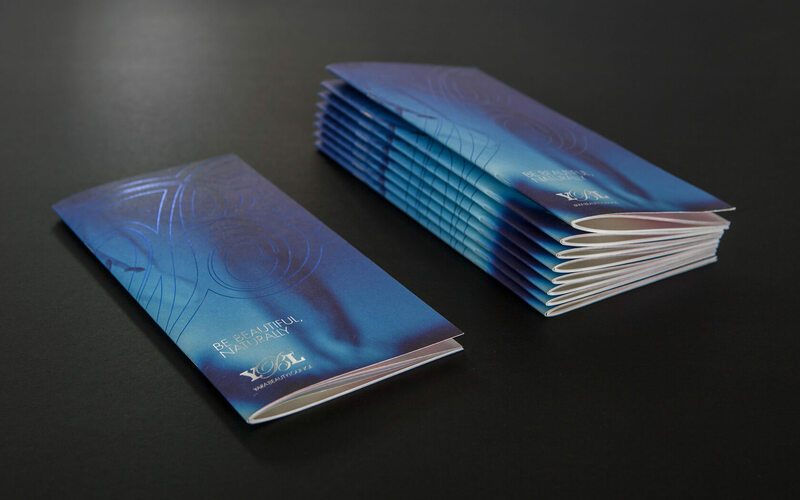 Through client workshops we helped to discover the brand’s true purpose – To empower people to be their best, it’s positioning of the expert and personality – the archangel. From this we worked on brand values that would help the team to build a culture that could support this vision and result in the brand personality. These values were Trustworthy, Dynamic & Respectful. This culture was driven by a client promise to help you achieve your greatest natural beauty. These values were combined to create the brand DNA that drove the creative identity exercise. We then created the brand hierarchy of Derma One, Derma One Dr Nedhal and Derma One Medspa to make sure customers could differentiate their expectations. New values of Trust (We are honest and dependable. We work ethically and deliver on our promises, Respect (We value respect and look after our people, clients and the planet), Dynamism (We have the passion and drive to go above and beyond and seek new opportunities). The previous Derma One logo was completely unaligned with the sophistication of the brand and did nothing to help build the perception of a leading dermatology centre or practitioner. Dr Nedal was considered by many to be the leading expert in the region for skin care and dermatology health but the logo was suited to an entry level practitioner. We opted to use a pure typographic approach as this would ensure the reading of the brand was similar to the reading a leading fashion brand could expect. The sophistication was in the simplicity. We used a bespoke, hand crafted font for the main word mark which enabled us to set the form glyph by glyph. The unique R in the form adds a feminine touch to an otherwise clinical modernism. The differentiation for the sub-brands was done in Garamond to build on the notion of sophistication and subtly. To create the right perception of the brand, we employed two brand fonts; Circe and Garamond. Circe is a clinical sans font which helps us to convey the modernity of the brand’s services whilst Garamond helps build a perception of a luxurious and sophisticated practice. We used mainly light weights of Circe to further enforce the notion that the brands impact would be felt gently on the patients and the application of services would be soft and feminine. 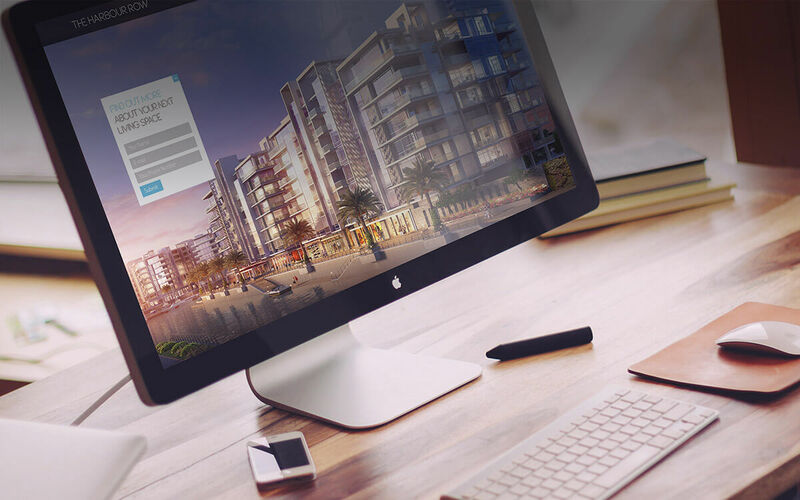 Together the fonts work to add a sophisticated touch to all the communications. The names of the colours allude to the sensation we wanted them to create on the mind whilst the metallic gold represents the feeling you get when your skin is healthy and glowing. Golden Beige and Cacao Milk blend gently with Warm Charcoal to create a natural and soft impression on the mind, helping to create a soothing brand perception. The brand patterns allude to a sensation, to a soft and gentle touch. This was the feeling we wanted the audience to get when they looked at the brand. The gentle whorl (spelt like ‘whirl’) of a finger print is captured in a hand crafted form which gently undulates much like skin. The form has been applied to all touch points including the walls in the clinic and onto the sliders on the website. The brand has been rolled out to its core markets in the Kingdom of Bahrain. The appreciation of the internal changes has been clearly identified by the internal team and shareholders alike. 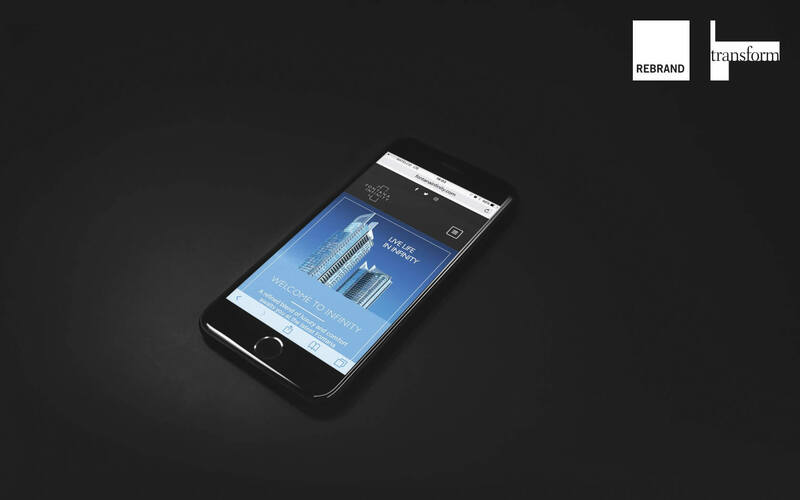 The final rendering of a sophisticated, expert brand has helped consumers to report on a considered perception of Derma One being ‘the leading brand in its field’. Brand re-launch has enjoyed overwhelmingly positive reception by skin care customers and the dermatological aesthetics industry in Bahrain. Strategy, Branding, Identity, Graphic Design, Collateral, Digital Design & Signage. Want to work with us on your next brand? 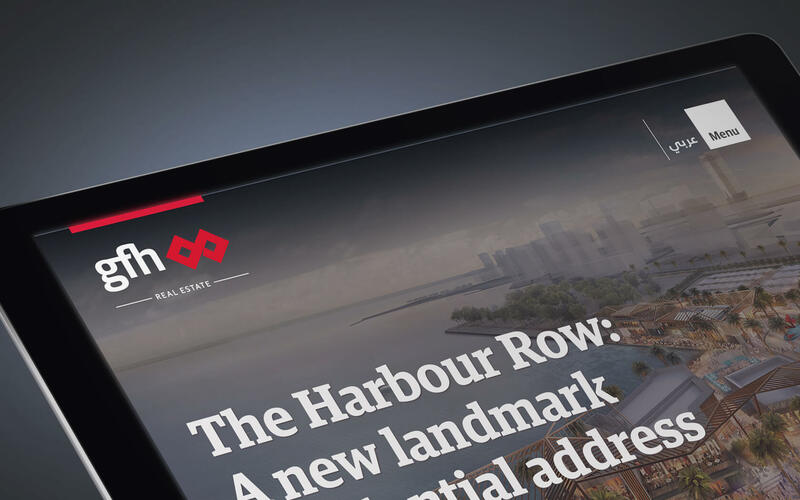 Responsive website for Harbour Row, Bahrain's soon-to-be premier waterfront destination brand.